Justice Business Services LLC was awarded a contract by Michels Pipeline Construction for asbestos coating removal on 3 miles of 30-in. pipeline on the Enbridge Panel 17 and 18 in Marshall County, West Virginia. Headquarters is Moundsville, West Virginia. Approximate start date: May 2018 (announced April 3). InfraSource LLC was awarded a contract by Vectren to re-build a regulator station in Vanderburgh County, Indiana. Headquarters is unknown. The superintendent is Tim Dunn. Approximate start date: May 1. Pe Ben USA Inc. was awarded contracts by Michels Corp. for the following: 1.) the loading, hauling and stringing of approximately 110 miles of 36-in. pipe in Fulton, Lucas, Sandusky and Wood counties in Ohio, and Lenawee, Monroe and Washtenaw counties in Michigan. Headquarters are Oregon and Perrysburg, Ohio. The superintendent is JW Morgan; and 2.) the loading, hauling and stringing of approximately 57 miles of 36-in. pipe in Columbiana, Stark, Summit and Wayne counties, Ohio. Headquarters are Lordstown and Canton, Ohio. The superintendent is Donnie Gragert. Approximate start dates: 1.) April 9 and 2.) April 23. Dykon Blasting Corp. was awarded a contract by Michels Corp. for blasting on approximately 122.5 miles of 36-in. pipeline right-of-way in Fulton, Henry, Lucas, Sandusky and Wood counties, Ohio, and Lenawee, Monroe and Washtenaw counties, Michigan. Headquarters is on the jobsite. The superintendent is David Hersey. Approximate start date: April 16. InfraSource LLC was awarded a contract by Avista Gas Corp. to install approximately 14,400 ft of 6-in. pipeline in Kootenai County, Idaho. Headquarters is Post Falls, Idaho. The superintendent is Gunner Anderson. Approximate start date: April 16. Minnesota Limited LLC was awarded a contract by Mark West to install approximately 63,000 ft of 20-in. pipeline in Brooke County, West Virginia, and Jefferson County, Ohio. Headquarters is Mingo Junction, Ohio. The superintendent is Troy Stamper. Approximate start date: April 16. Snelson Cos. Inc. was awarded contracts by Pacific Gas & Electric for the following: 1.) valve automation for 8- and 12-in. valves with 400 ft of ¾-in. pipeline. Headquarters is unknown. The superintendent is Jeff Gregory; and 2.) to install approximately 2 miles of 3- and 6-in. pipeline and hydrotesting in Santa Cruz County, California. Headquarters is unknown. The superintendent is Jeff Gregory. Approximate start dates: 1.) April 16 and 2.) April 2. Pe Ben USA Inc. was awarded a contract by Welspun for the offloading from rail and stockpiling of approximately 19 miles of 3 6-in. pipe in Brazoria County, Texas. Headquarters is Angleton, Texas. The superintendent is Cody Phillips. Approximate start date: April 12. InfraSource LLC was awarded a contract by Vectren to hydrotest approximately 15 miles of 16-in. pipeline, fabricate one launcher, install one regulator station, three filters, remove stopples and fittings, and install valve settings in Morgan and Johnson counties, Indiana. Headquarters is unknown. The superintendent is Tim Dunn. Approximate start date: April 11. Minnesota Limited LLC was awarded a contract by TransCanada/CPO to install 20-in. launcher/receivers and replacement of a mainline valve in Paulding, Putnam and Allen counties, Ohio. Headquarters is Paulding, Ohio. Approximate start date: April 10. Gabe’s Construction Co. Inc. was awarded a contract by Linde Corp. for the replacement of a 54-in. filter/separator with 66-in. filter/separator in Broome County, New York. Headquarters is on the jobsite. The superintendent is Steve Huibregtse. Approximate start date: April 9. InterCon Construction Inc. was awarded a contract by Enbridge to install a casing extension in Will County, Illinois. Headquarters is Romeoville, Illinois. The superintendent is Matt Ruskosky. Approximate start date: April 9. Northern Clearing Inc. was awarded a contract by Precision Pipeline LLC for the clearing of approximately 49 miles of 42-in. pipeline right-of-way in Franklin and Pittsylvania counties, Virginia. Headquarters is unknown. The superintendent is Rod Grubisic. Approximate start date: April 9. Schmid Pipeline Construction Inc. was awarded a contract by Blue Racer Midstream LLC to install approximately 1.5 miles of 8-in. pipeline in Harrison County, Ohio. Headquarters is Cadiz, Ohio. The superintendent is Chad Monk. Approximate start date: April 9. Penn Line Service Inc. was awarded a contract by B&N Clearing and Environmental LLC for maintenance and hydroseeding on approximately 40 miles of 36-in. pipeline right-of-way in Marshall County, West Virginia, and Monroe and Noble counties, Ohio. Headquarters is on the jobsite. The superintendent is Jim Platt. Approximate start date: April 4. United Piping Inc. was awarded a contract by TransCanada for 12-in. valve repair in Will County, Illinois. Headquarters is Morris, Illinois. The superintendent is Tim Darif. Approximate start date: April 4. Ace Pipeline Inc. was awarded a contract by Dominion Energy to install approximately 34 miles of 30-in. pipeline in Harrison, Ritchie and Wetzel counties, West Virginia. Headquarters are Ellenboro and Salem, West Virginia. The superintendent is Sam Jarvis. Approximate start date: April 2. B&N Clearing and Environmental LLC was awarded a contract by Price Gregory International Inc. for slip repair, cleanup and restoration on the Leach Xpress pipeline project in Marshall County, West Virginia, and Monroe and Noble counties, Ohio. Headquarters is Belmont, Ohio. The superintendent is Gary Pelham. Approximate start date: April 2. Tom Allen Construction Co. was awarded a contract by Appalachian Pipeline Contractors LLP to install approximately 1,109 ft of 24-in. pipeline via horizontal directional drilling in Chester County, Pennsylvania. Headquarters is Rosebush, Michigan. The superintendent is Bret Burleson. Approximate start date: April 2. Q3 Contracting Inc. was awarded a contract by Xcel Energy for ongoing maintenance work throughout the state of Minnesota. Headquarters is Little Canada, Minnesota. The superintendent is Brett Catts. Approximate start date: April 2. R.L. Coolsaet Construction Co. was awarded a contract by DTE Energy to assist on the pigging of 30-in. pipelines in Montcalm, Oakland and Washtenaw counties, Michigan. Headquarters is to be determined. The superintendent is Bart Jeanette. Approximate start date: April 2. Snelson Cos. Inc. was awarded a contract by Xcel Energy for ongoing maintenance work in the state of Colorado. Headquarters is Henderson, Colorado. The superintendents are Keith Maxwell and William Hank Sullivent. Approximate start date: April 2. Snelson Cos. Inc. was awarded a contract by Pacific Gas & Electric to install approximately 11,500 ft of 24-in. pipeline in San Mateo County, California. Headquarters is to be determined. The superintendent is Marvin LaRue. Approximate start date: April 2. Minnesota Limited LLC was awarded a contract by Excel Midstream to install approximately 4 miles (dual lay of 2 miles each) of 24-in. pipeline, 1.8 miles (dual lay of 0.9 miles) of 12-in. pipeline, 2.1 miles of 4-in. pipeline and the installation of launcher/receivers in Marshall County, West Virginia. Headquarters is unknown. The superintendent is Doug Vaughn. Approximate start date: March 28. United Piping Inc. was awarded a contract by Michels Corp. for the restoration, seeding and mulching on various access areas to a 36-in. pipeline in Douglas County, Wisconsin. The superintendent is Cory Halberg. Approximate start date: March 28. Dykon Blasting Corp. was awarded a contract by Snelson Cos. Inc. for blasting on approximately 20 miles of 36-in. pipeline right-of-way in Doddridge, Tyler and Wetzel counties, West Virginia. Headquarters is on the jobsite. The superintendent is Jimmy Floyd. Approximate start date: unknown (announced March 26). Dykon Blasting Corp. was awarded a contract by Price Gregory International Inc. for blasting on approximately 30.3 miles of 36-in. pipeline right-of-way in Jackson, Roane and Wirt counties, West Virginia. Headquarters is on the jobsite. The superintendent is Robbie Godsey. Approximate start date: Unknown (announced March 26). B&N Clearing and Environmental LLC was awarded a contract by InfraSource LLC for the hand felling of trees on approximately 13.9 miles of 12-in. pipeline right-of-way in Berks County, Pennsylvania. Headquarters is to be determined. The superintendent is Kevin Newcomb. Approximate start date: March 22. InfraSource LLC was awarded a contract by DTE Energy to install approximately 13.2 miles of 12-in. pipeline in Berks County, Pennsylvania. Headquarters is to be determined. The superintendent is Brad Phillips. Approximate start date: March 22. Pe Ben USA Inc. was awarded a contract by Latex Construction Company for the loading, hauling and stringing of 80 miles of 36-in. pipe in Huron, Lorain, Marion, Medina, Sandusky and Wayne counties, Ohio. Headquarters are Marion and Elyria, Ohio. The superintendent is Tommy Haynes. Approximate start date: March 22. Pe Ben USA Inc. was awarded a contract by Meridien Energy to haul 13,500 ft of 36-in. pipe in Clinton County, Pennsylvania and Monongalia County, West Virginia. Headquarters is Morgantown, West Virginia. The superintendent is Robert Cooley. Approximate start date: March 20. Atlas Trenchless LLC was awarded a contract by Precision Pipeline LLC to install 5,350 ft of 36-in. pipeline by two horizontal directional drills in Orange County, New York. Headquarters is at the jobsite. The superintendent is Jim Lagios. Approximate start date: March 19. Justice Business Services LLC was awarded a contract by Price Gregory International for coating removal on 38 miles of TransCanada/Columbia Pipelines Lines B-111 and B-105. Headquarters is Lancaster, Ohio. Approximate start date: March 19. 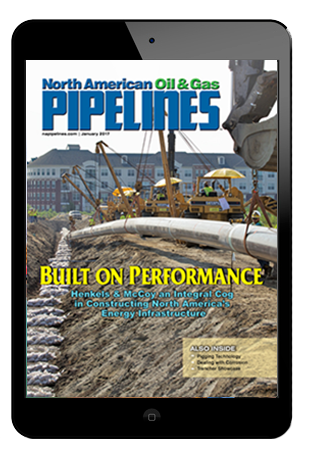 United Piping Inc. was awarded a contract by BP U.S. Pipelines for a 20-in. pipeline integrity dig in Chariton County, Missouri. Headquarters is Morris, Illinois. The superintendent is Rich Oswskey. Approximate start date: March 19. United Piping Inc. was awarded contracts by BP U.S. Pipelines for the following: 1.) an integrity dig on a 20-in. pipeline in Clark County, Missouri. Headquarters is on the jobsite. The superintendent is Jim Bailer; and 2.) an integrity dig on an 8-in. pipeline in Marion County, Indiana. Headquarters is Morris, Illinois. The superintendent is Rich Oswskey. Approximate start dates: 1.) March 15 and 2.) March 19. MOS Boring and Drilling Inc. was awarded a contract by Strike Construction for road boring on 72 miles of the 16-in. Formosa-Lavaca Pipeline in Matagorda and Brazoria counties, Texas. Headquarters is Angleton, Texas. The superintendent is Randy Cassell. Approximate start date: March 16. Dykon Blasting Corp. was awarded a contract by Latex Construction Company for blasting on 80 miles of 36-in. pipeline right-of-way in Erie, Huron, Loraine, Medina, Sandusky and Wayne counties, Ohio. Headquarters is Elyria, Ohio. The superintendent is David Hersey. Approximate start date: March 15. 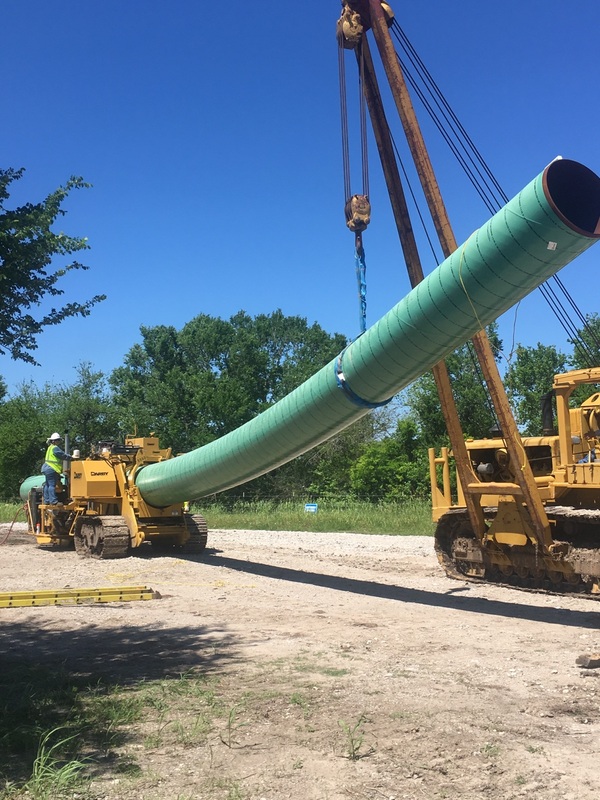 Pe Ben USA Inc. was awarded a contract by Latex Construction Company to provide lowboy and trucking services for support on Nexus Pipeline Spread 2. Headquarters is Elyria, Ohio. The superintendent is to be determined. Approximate start date: March 15. Right-of-Way Clearing & Maintenance Inc. was awarded a contract by Michels Corp. for the clearing of approximately 4.43 miles of 36-in. pipeline right-of-way in Athens, Meigs, Momoe and Noble counties, Ohio. Headquarters is to be determined. Approximate start date: March 15. Snelson Cos. Inc. was awarded a contract by EN Engineering LLC for location and potholing work in Washington County, Minnesota. Headquarters is Lakeville, Minnesota. The superintendent is William Hank Sullivent. Approximate start date: March 12.